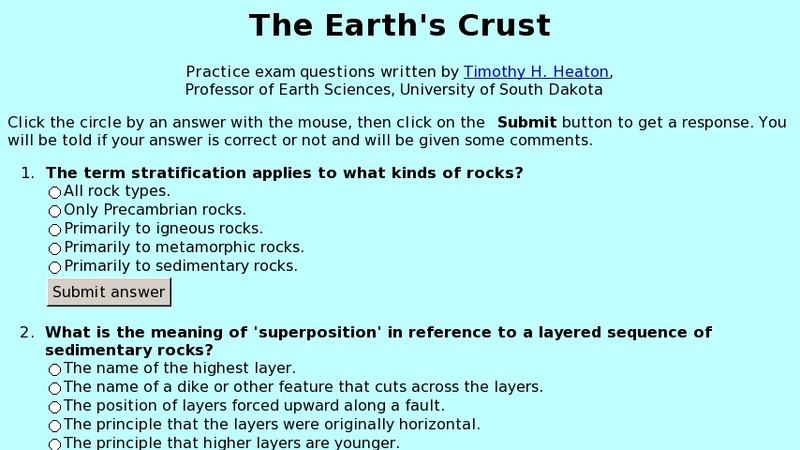 This site contains 14 questions on the topic of the Earth's crust, which covers unconformities, geologic time, and lithification. This is part of the Principles of Earth Science course at the University of South Dakota. Users submit their answers and are provided immediate verification.